Each roaster brings at least one coffee to the Blend Off. People are then randomly divided into teams and blind cup all the coffees available. Each team will select the coffees they want to add to their blend and a competition will be held to choose the best blend for the criteria given. Winning team gets swag. 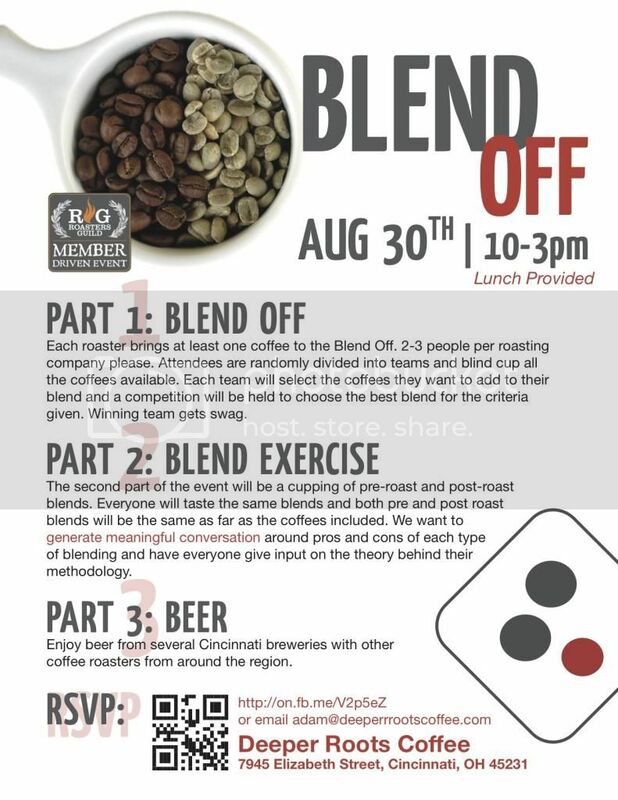 The second part of the event will be a cupping of pre-roast and post-roast blends. We want to generate meaningful conversation around pros and cons of each and have everyone give input on the theory behind their methodology. Beer to follow!